There are an estimated 700 pulp and paper manufacturing facilities throughout the U.S. Trees used in paper making are put through a debarker and a chipper, where they are reduced to approximately one-inch wood chips. The wood chips are pressure cooked in a digester and become pulp, which is refined, turned into slush, and screened. Screening drains away liquid, and the resulting pulp is pressed into paper. Bark is typically burned as fuel for a boiler. 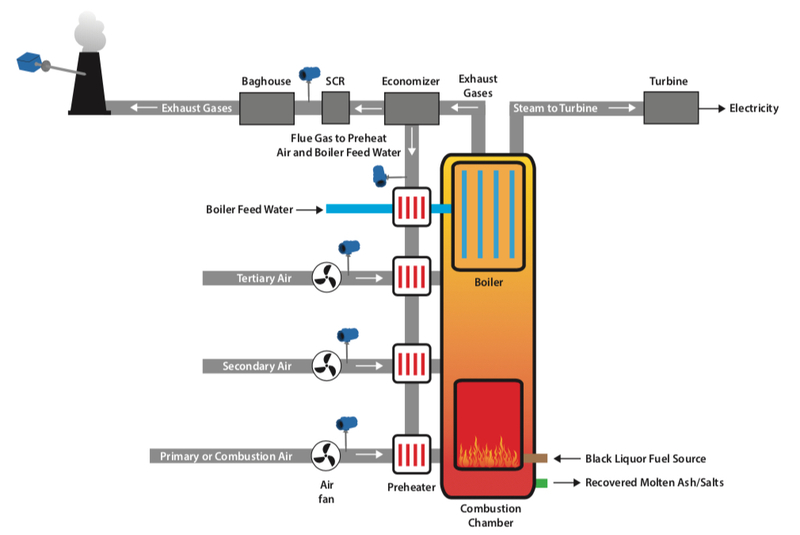 Chemicals (green liquor and white liquor) used in the digester to separate the cellulose fibers that become pulp result in emissions containing formaldehyde, methanol, acetaldehyde, and methyl ethyl ketone. High temperatures during the washing and screening processes generate exhaust gases. Any bleaching process includes chlorine or peroxide that must be vented. Fiber particles and chemicals are filtered out and recovered. The recovered material is called “black liquor” and is burned in a recovery boiler to provide additional power for the mill, generating exhaust gases. Wastewater generated during the pulp process is diverted to a wastewater treatment facility, where it is treated and recycled before being reused or released. 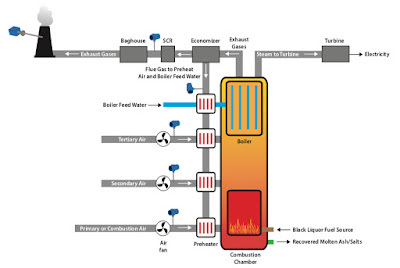 The primary air flow system maximizes chemical recovery. Primary air optimizes bed size, shape, and temperature. A secondary air flow system is used to maintain complete combustion with dynamic mixing. The secondary air dehydrates the black liquor, and controls bed size, shape, and height. A tertiary air flow system is used to prevent the chemical reaction/processes from reaching the upper regions of the boiler and damaging the boiler tubes. This also generates an even temperature profile across the unit. The molten waste is recovered and dissolved in water to create the green liquor used in the separation process. 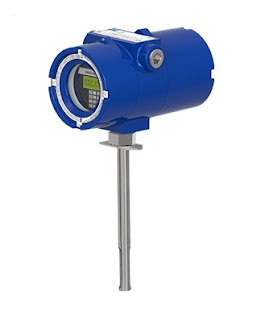 For more information on Kurz Thermal Flow Meters, contact Hile Controls of Alabama by visiting https://hilealabama.com or by calling 800-536-0269.